Have you ever wondered what it was like for the disciples of Jesus Christ on that first Easter? to wonder what happened to their Messiah, the King of Kings. Why He was dead, and buried in a tomb, while they still lived under the oppression they thought He had come to save them from? We know that the story did not end there. We know that Jesus rose from the dead on the third day, and showed himself to the disciples and over 500 other people. We all experience difficulties in our lives. No one is exempt. Some difficulties don’t last long; others drag on for weeks, months, and years. Where do we find hope to keep going in the midst of those dark times? 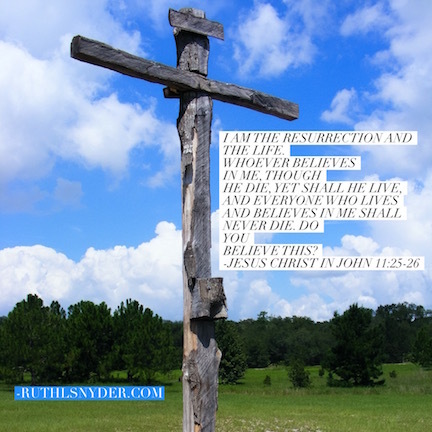 I find my hope in Jesus Christ and his resurrection from the dead. What about you? Share what you celebrate during this season.